Bangladesh were all out for 209 in their second innings at lunch on day five of the rain-shorted Test, according to BSS report. 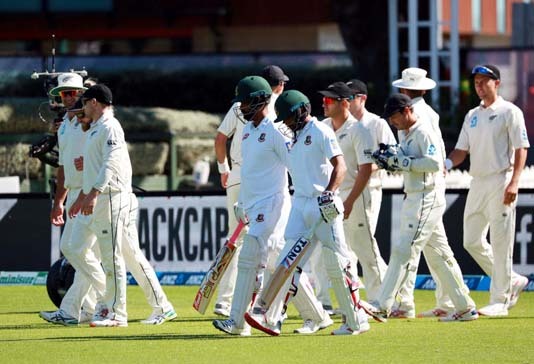 After Bangladesh resumed the day at 80 for three, they lost their last seven wickets for 129 runs in 33 overs. Neil Wagner took five for 45 and Trent Boult finished with four for 52 while captain Mahmudullah Riyad top scored for Bangladesh with 67. New Zealand won the first Test by an innings and 52 runs.